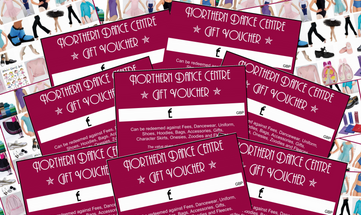 Use Gift Vouchers to pay for anything at NDC! Can be redeemed against Fees, Dancewear, Uniform, Shoes, Hoodies, Bags, Accessories, Gifts, Character Skirts, Onesies, Zoodies and Fleeces! Available in any amount, no minimum or maximum!